Double sided silicon carbide. Will adapt to most contoured surface shapes. 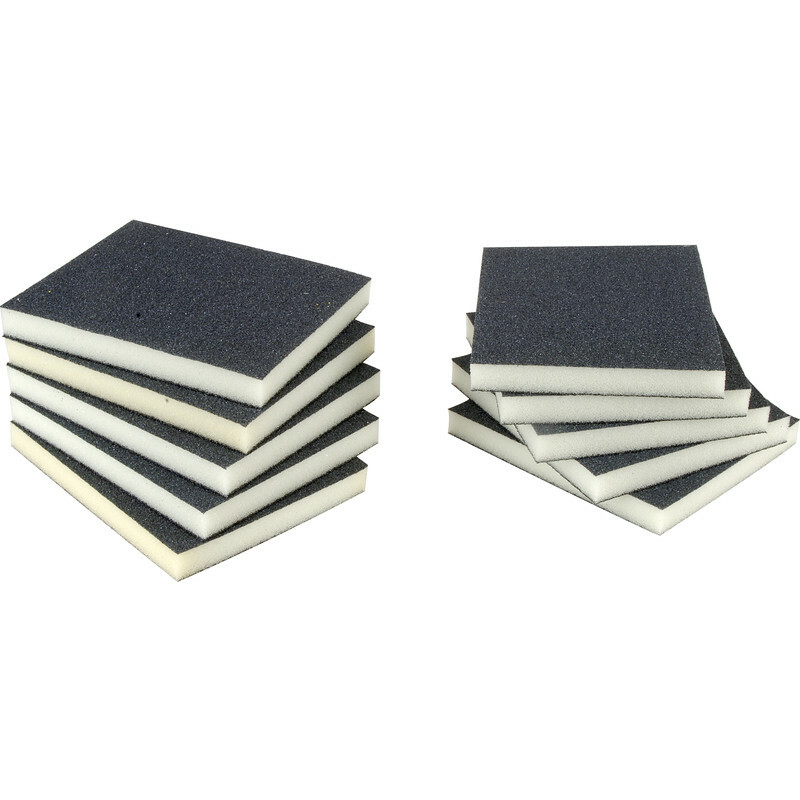 Sponge Abrasive Pads 60g (Course) (10 Pack) is rated 3.4 out of 5 by 19. Rated 1 out of 5 by Menotyou from Last a very short time They do the job, but the grit soon wears off. I have rubbed down 3 doors and some other small pieces of wood for painting have already used 4 pads. I have some 3M ones I bought a few years ago and they are still going strong after numerous decorating uses. Rated 2 out of 5 by dkfdkfkfjdkjf from The abrasive doesn't seem very sharp The abrasive doesn't seem very sharp. Convenient but not good quality. Rated 5 out of 5 by Shane6047 from Good sanding pads Brought a box of two different grades, really good product.